Thank you to the Burlington Sustainable Development Committee (SDC) for hosting the ‘Green Home Renos 101 – Local Stories’ event at Burlington Public Library – Central Branch on Oct. 25, 2017. Three homeowners spoke about their personal green renovation experiences resulting in more comfortable homes with lower energy bills and a smaller carbon footprint. Their experiences included a full demolition and rebuild in a mature neighbourhood; an extensive renovation of a 1950s bungalow to a 1 ½ story passive house; and a story about a series of small renovations over several years. 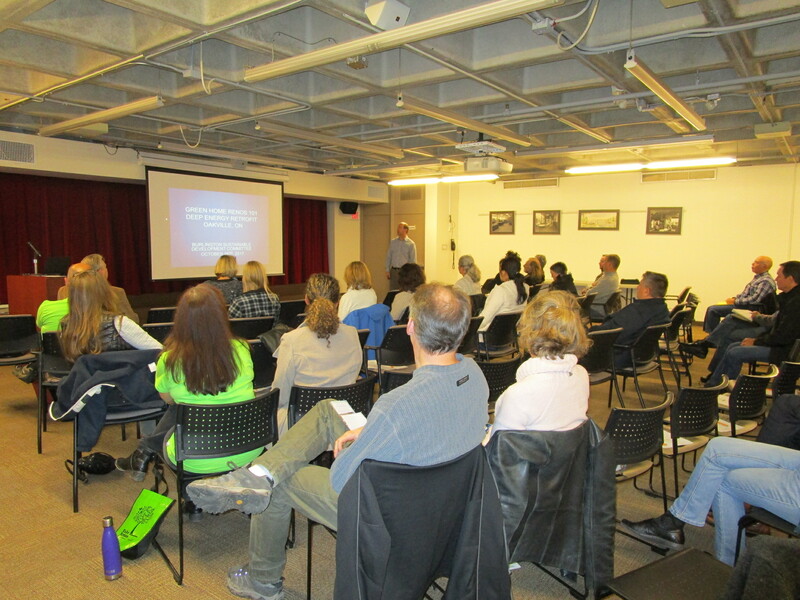 One of the presentations at the Green Home Renos 101 – Local Stories event. 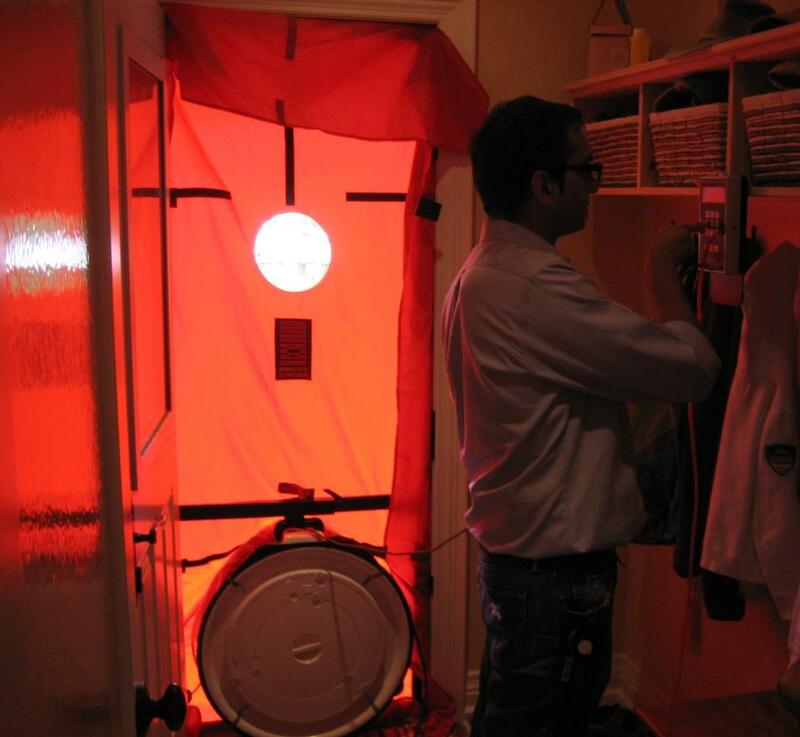 Blower door test to help determine a home’s air tightness. Image courtesy of E. Marion. Where can I find out who is a certified energy advisor? Please visit uniongas.com/homereno for a list of certified advisors in our region. Where can I find what energy savings programs are currently available? Visit greenON.ca. 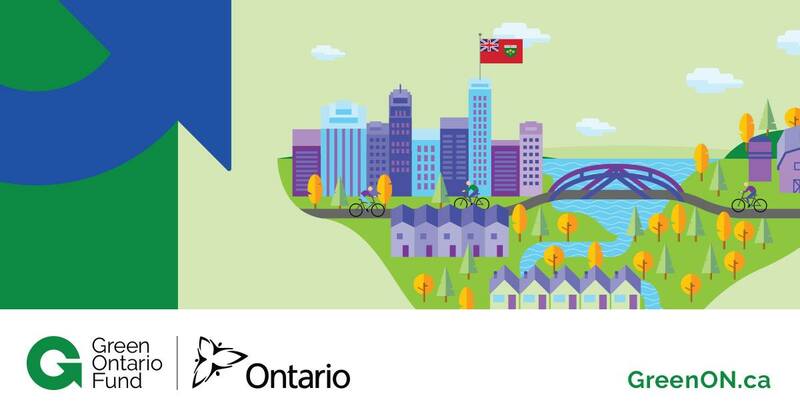 Find out if you quality for free programs through the Save on Energy Home Assistance Program or through the new Affordability Fund. Thanks also to BurlingtonGreen, the City of Burlington’s building permit staff, and Halton Region’s water efficiency staff for setting up displays and to Green Venture who provided the water heater insulation blanket as a door prize. Take Action Burlington! Collectively we can make a difference to reduce our impact on the environment. Thanks for the great summary Fleur.